I am a freelance journalist, editor and writer. My work has appeared in newspapers, magazines and websites including the The Times, The Sunday Times, the BBC, The Washington Post, The Smithsonian Magazine, Huffington Post, Sydney Morning Herald, The Guardian, The Daily Telegraph, The Sunday Telegraph, The Independent, Scotland On Sunday, The Scotsman, The Sunday Herald, Grazia, Marie Claire and Cosmopolitan. I hosted the BBC radio documentary Life Under Glass, which was also broadcast on NPR, The World Service, and ABC in Australia. I have appeared as a guest contributor on various news, current affairs and culture shows on BBC radio and on WNYC’s The Takeway and WBUR’s The World. I worked as a foreign correspondent based in New York and Washington DC and have written articles from Japan, South America, Spain and the Antarctic. I reported on the 2004, 2008 and 2012 American Presidential elections. I am the author of two non-fictions works, The Lost Tribe of Coney Island: Headhunters, Luna Park, and the Man Who Pulled Off The Spectacle of the Century; and Miracle at Coney Island: How a Sideshow Doctor Saved Thousands of Babies and Transformed American Medicine. 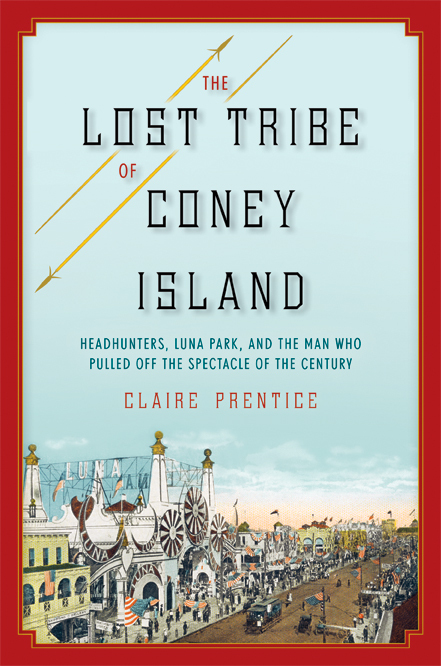 The Lost Tribe of Coney Island unearths the incredible true story of the Igorrotes, a group of “headhunting, dog-eating savages” from the Philippines, who were taken to New York in 1905 and put on show at Coney Island. Miracle at Coney Island tells the true story of “the incubator doctor,” Martin Couney, who exhibited premature babies at fairgrounds and state fairs across America. Couney saved thousands of lives and was hailed as a hero but he hid a dark secret as I discovered while doing extensive research in America and Europe. I am a 2016 Robert Louis Stevenson Fellow and a 2018/19 Virginia Humanities Fellow. I am originally from Scotland and am currently living in Charlottesville, Virginia where I’m working on my next book.